Helping Indie and Major Music Artist Maximize Their Music Projects! OMB is a subscription service web site for aspiring artists of all ages and music categories: Rock, Hip-Hop, Rap, Gospel, Christian, New Age, Jazz, R&B, Pop, Goth, Bluegrass, Country, Techno, Latin, and many others. With your subscription, you will learn valuable tips and techniques on How To Be Successful In The Music Industry. INFORMATION IS THE KEY TO SUCCESS, AND WE HAVE IT! With the Official Music Bible subscriptions, you get more for your money! For the information provided in this site you would pay thousands now for a limited time offer starting at just $10.00 a month you will have access to *Lawyers- *Mangers-*Promoters-*A&Rs-*Contracts-*Radio Programmers Directors-*Radio Stations Contact Numbers-*Newspapers For Publicity * Video Promoters-*One-Sheet Templates-*Business Plan Template For Record Labels-*Advantages To Nielsen Sound Scan *How To Get Distribution *Tips For Getting Onto Store Shelves. * How To Gain Exposure On Local or National TV Networks For Little As $12. Networks Like MTV, BET, VH1, CMT Many Others!!!!! 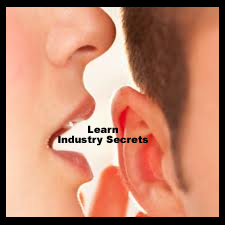 *Selling Music On The World Wide Web With Nielsen SoundScan * Insider Secrets On Merchandising- *Music Royalties-Music Publishing and What Record Companies are really looking for.